No more emails. No more wall clutter. Finally, a platform for parents. 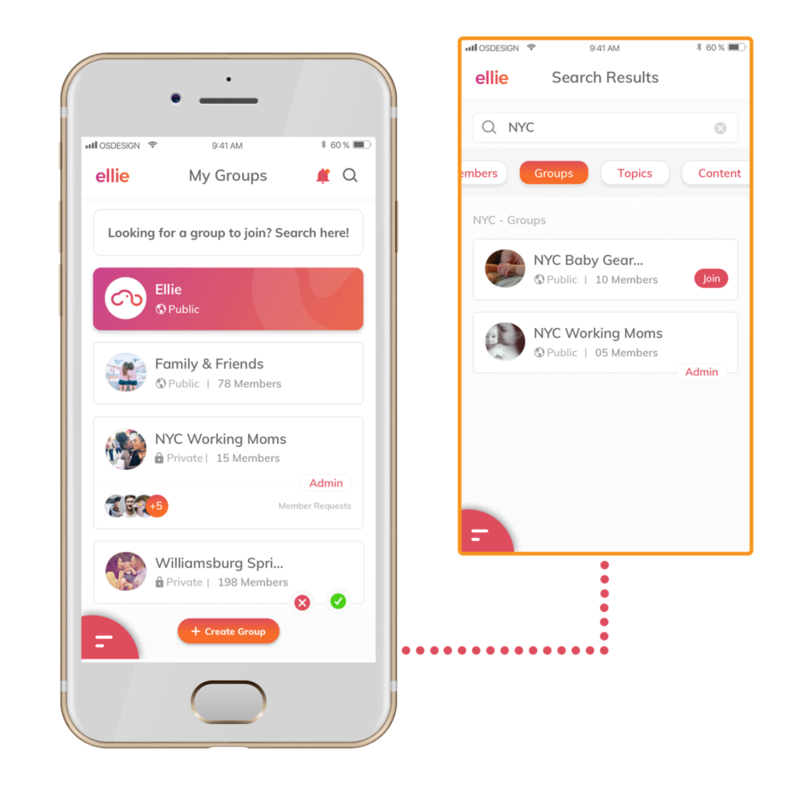 When you download ellie, you automatically become part of ellie's community of parents. Ask questions, give advice, meet fellow moms or dads! Create a public or private group in a few simple steps. You create the topics. You invite members and accept membership requests. It’s that easy. Considering inviting or transferring your existing moms group to ellie? Let us know and we can help! Search for groups that interest you— topic-based groups, marketplaces, or groups in your area! ASK QUESTIONS, OR GIVE ADVICE! Groups are organized by topics so you can easily get the answers you're looking for. Question about sleeping? Health? Baby products? Your best resources are at your fingertips—fellow moms. Stop wasting your time online searching through fake product reviews or sponsored content! Easier than ever. Want to host a meetup? Send an invite to your group! Add playdates, meet ups, classes, and coffee dates to your calendar. You'll always be in the loop!